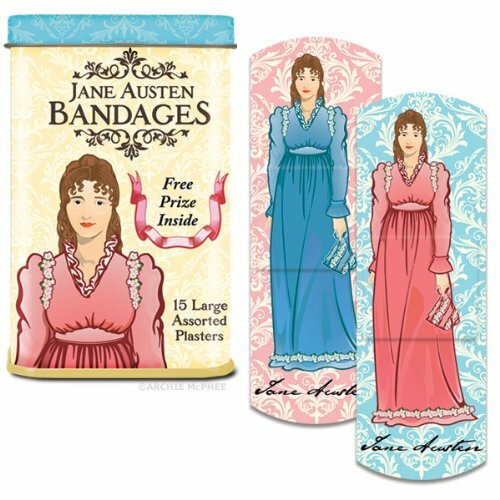 I don’t know if you are aware but Pride and Prejudice is pretty popular, and its popularity has lead to a lot of merchandising. I did a lot of scouring on Amazon and Etsy and most of the stuff I could find was actually pretty cool. There are a lot of phone covers, posters, clothes, and other things with some real elegant designs. However, there is also a lot of weird stuff out there too. You can get these on amazon for $6.91 and free prime shipping! 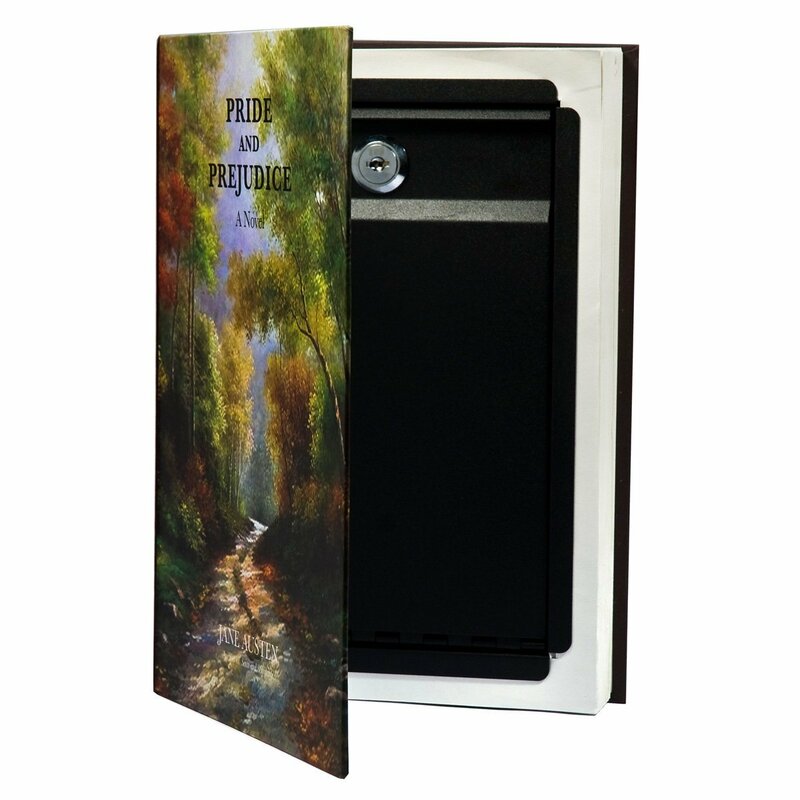 This gun safe hidden in a copy of Pride and Prejudice is available on amazon for $29.99. 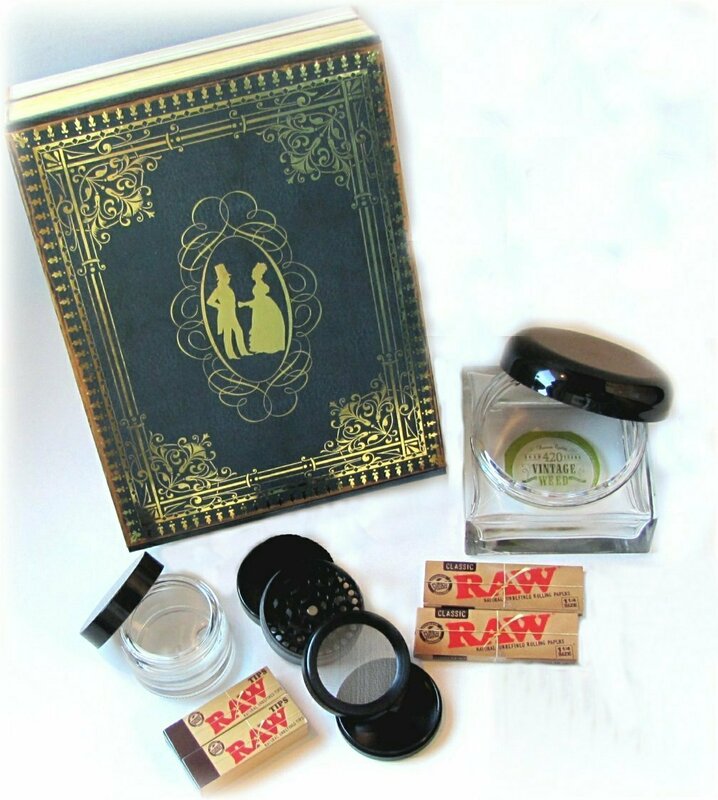 However if guns aren’t your thing you can buy thing Pride and Prejudice weed box instead. Take the starring role in Jane Austen’s most popular novels as you become one of the Bennet sisters in search of a husband. Will you pursue Mr. Bingley, whose good nature has already endeared him to your sister, or perhaps Mr. Darcy, the famous protagonist from Pride and Prejudice? 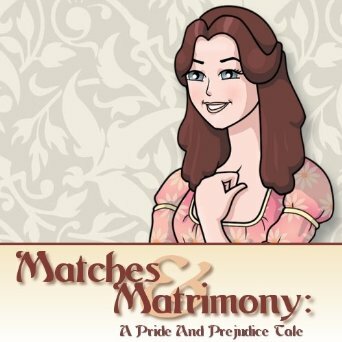 The narrative of Matches & Matrimony comes from the combining of 3 different novels, allowing you to create new storylines from Miss Austen’s most famous works! As you play you, will pick your daily routine to improve your characteristics, and then select your own path through the intersecting stories. With 9 different endings to be discovered, Matches & Matrimony can be played again and again as you create your own tale of classic romance. 3 Novels in one game! 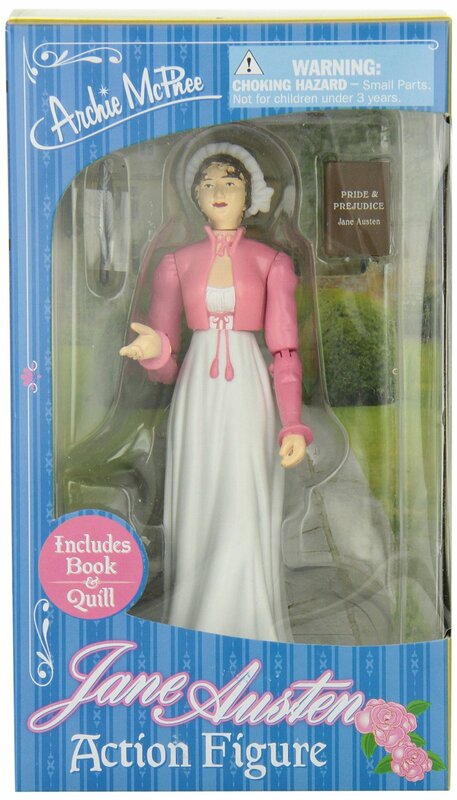 The Jane Austen Action figure comes with her own Quill and copy of Pride and Prejudice! Available for $11.29 on amazon. 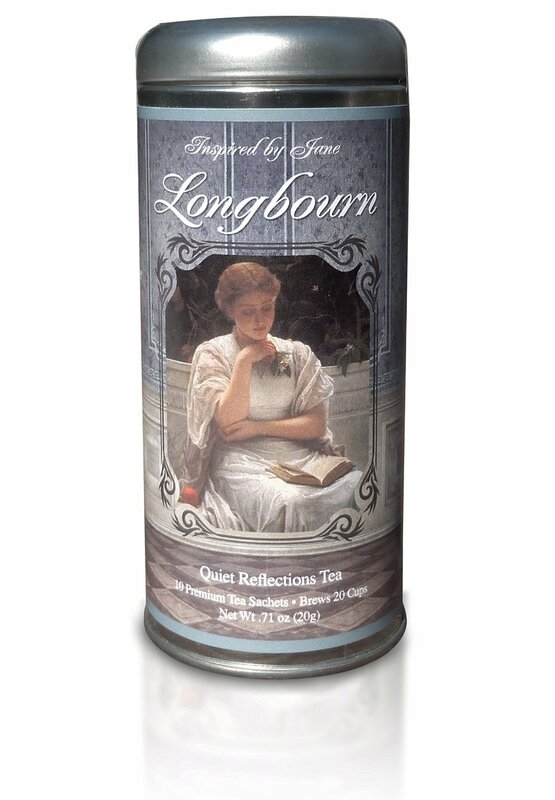 It’s not that I think that it is weird they made a Pride and Prejudice Tea, its that they made it Longbourn. If you are going to name a tea after a house in Pride and Prejudice you got to name it after Pemberley, am I right? Well this tea is available on Amazon for the cool price of $14.95. When it is to early to dream about being a future Mrs. Darcy? I would say if you are still wearing diapers its a little too early. 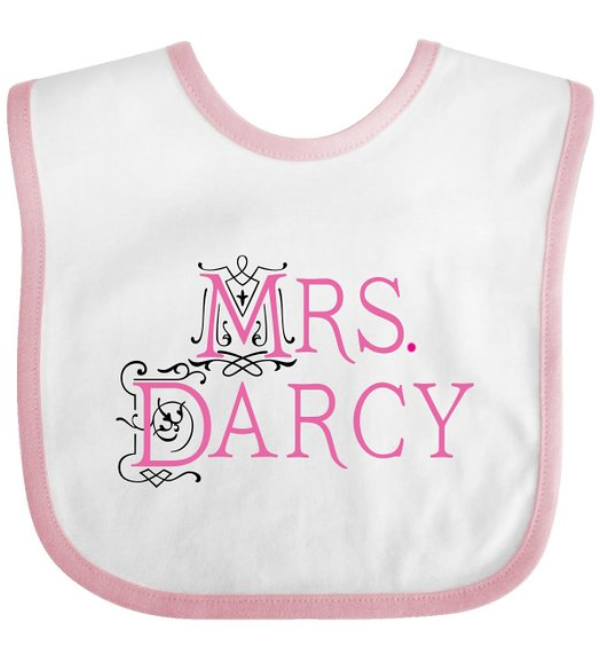 This bib and various other “I Love Darcy” bibs are available on amazon for $9.99. 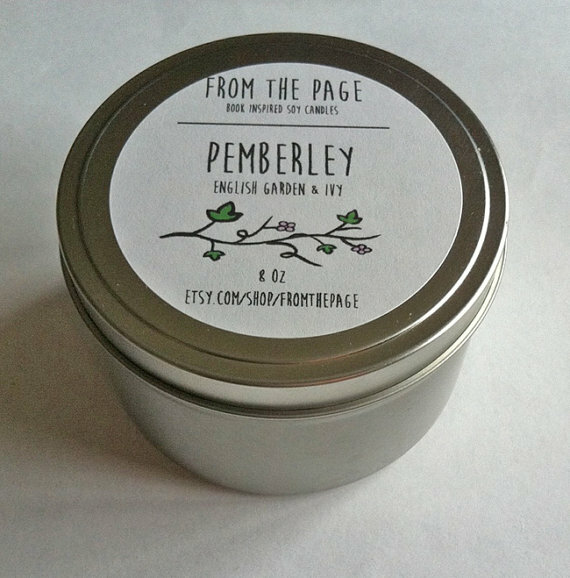 You can make your house smell like Pemberley, but I wouldn’t count on Mr. Darcy knocking on your door to insult and propose to you. Available on Etsy for $10.00. After I found the bandages I thought to myself surely it’s not going to get weirder than this. I was wrong. 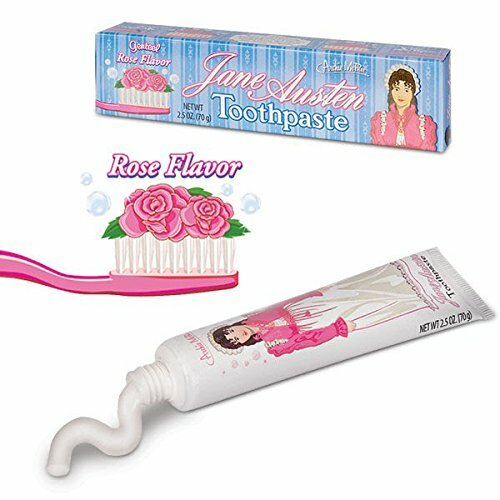 You can get your very own tube of Jane Austen toothpaste for $6.15 on Amazon.